Nowadays everything has gone digital, whether it is shopping online or to travel to your favorite destination. A plethora of businesses is opened with the help of mobility wave and the digitalization. For the taxi businessmen or the taxi operators, this digitalization came like a boon. Some of the taxi fleets have taken the mobile apps into work for their process to go successfully, while on the other hand, many are trying to make it possible via taxi apps. Taxi owners or the businessmen should come out of their shell to bring out the setup into the process. Taxi is the inevitable part of today’s transport where everyone loves to hire a taxi for visiting their destination. With the rising demand, many of the taxi businesses has grown up and get connected with their customers via taxi mobile apps that made their business more easy and vast. 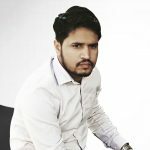 What are the benefits of the taxi mobile app development services for the businessman? Why taxi businessman should invest in the taxi app, here what we get out all the answers. • Tracking the Taxi-With the help of the taxi app, driver and the customer both have the biggest benefit of having the exact location from where to pick and from a business owner point of view, it becomes easy to track the driver. The business owner can keep an eye on the route. In an emergency case, you can send information to the particular. • Data Of The Passengers- After downloading the app, customers fill their data and this big amount of data can be collected by the business owner to know the customer better. This big data helps in monitoring their customers like how often they are calling the cab, time and distance traveled by them, you can provide them the attractive discounts and the coupons by having their personalized details. • Building Brand-Having the taxi app for the business works well making your business to come on the same platform where the other competitors of yours working. Willingly or unwillingly you have to compete with your competitors. You can make your business a brand by adding many features to make the app more attractive and user-friendly. • Feedback- Reviews are very much needed to monitor what your business is doing, even if you are giving the best service it is very important to have feedback from the customers. In the form of rating and reviews, you can work accordingly and take out something new for uplifting your business. • Efficiency Of The Driver- To enhance your driver’s efficiency and productivity it is very important to have taxi apps and this helps in the form of customer’s reviews and ratings. By the taxi mobile app development solutions, you can have the driver’s performance and the efficiency better. • Business Growth- Being very hectic business it is very difficult to handle it manually. With the help of the taxi apps, your business grows smartly in the auto-pilot mode and there will be business growth and the work become hassle-free with just a couple of taps. As in this blog, we have seen a plethora of benefits for using a taxi app for your taxi business. These apps help in making your taxi business digital which would increase your customer footprints. 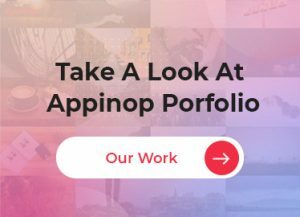 Appinop is the best mobile and web app development partner for your business to shift your business to the next level at a reasonable price within an agreed time. Our subject matter experts understand your business ins and outs and act accordingly to deliver smart and user-friendly taxi booking app that matches your expectations and business requirements.